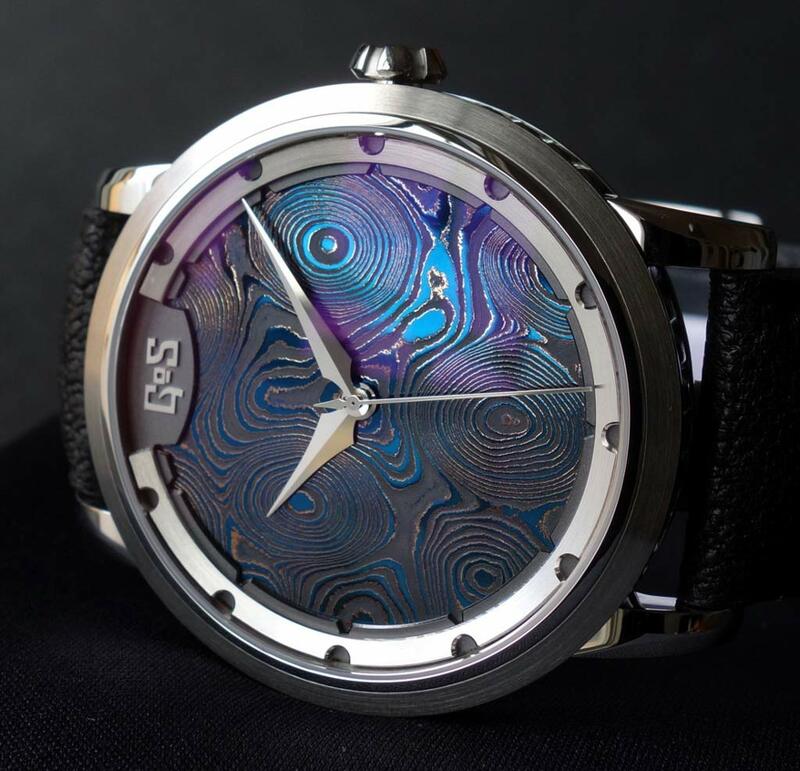 GoS Watches is a partnership between the master blade smith Johan Gustafsson and master watchmaker Patrik Sjögren. 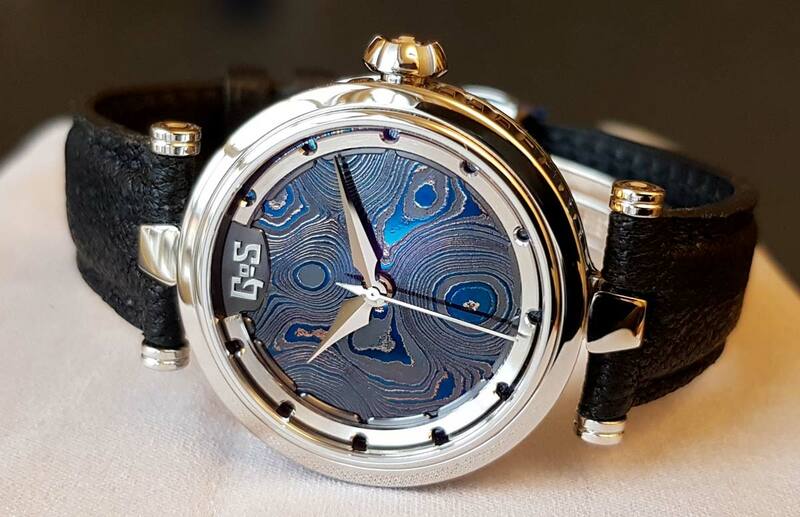 They specialize in the ancient tradition of hand forging Damascus steel, a technique which transforms each watch they produce in a unique piece with a different character and personality. In this heat tempering process, the layering of two different steel types creates a sort of hardened composite material with the additional result of producing a nice pattern when slightly etched in acid. 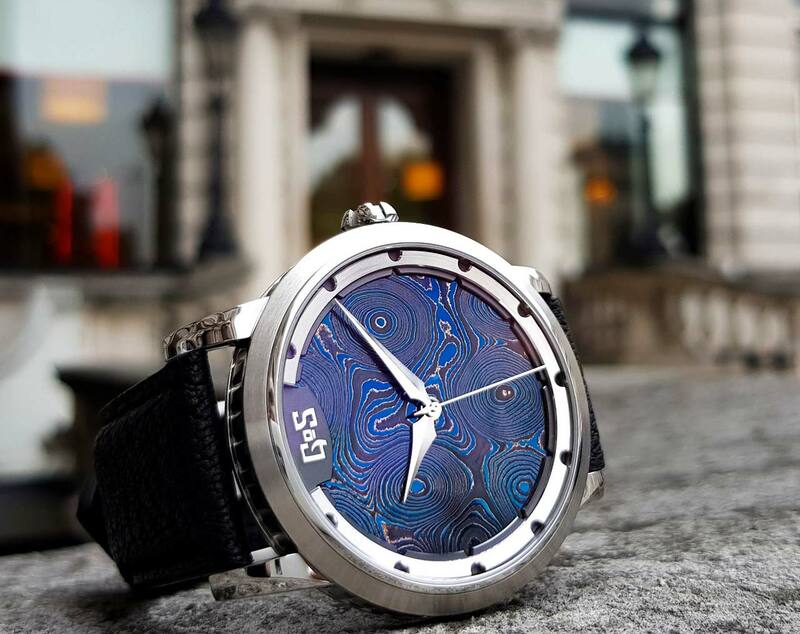 The latest creation of GoS Watches is the Sarek Midnight Blue featuring a dial whose colours depend on lighting. The matte dial surfaces seamlessly change from satin black to anthracite while the polished surfaces vary between deep blue and piano black. The separate nuances of black and blue are the result of combining a contrast finishing with tempering in multiple steps. Protected by a domed sapphire crystal with double sided anti-reflective coating, the dial is completed by spear-shaped hands as well as an index ring composed of two layers combining previous GoS design with inspiration from viking bracelets. The 43 mm x 10.5 mm stainless steel case houses a 4 Hz (28,800 vph) Soprod A10 movement that has been customized with a GoS triskele rotor. The triskele design is the GoS version of the famous Viking symbol with three interlocked horns and has been present on GoS watches since GoS was founded 10 years ago. The dark rotor is hand- finished with a circular satinization and is equipped with an additional counter weight made from German silver. The power reserve is 42 hours. The new Sarek Midnight Blue is delivered with a Moose leather strap and GoS offers four different choices of which the lighter Khaki or the glossy black are expected to be the most popular alternatives with this dial. When ordering a Sarek watch directly from the GoS workshop, it is possible to choose among a selection of available dials. 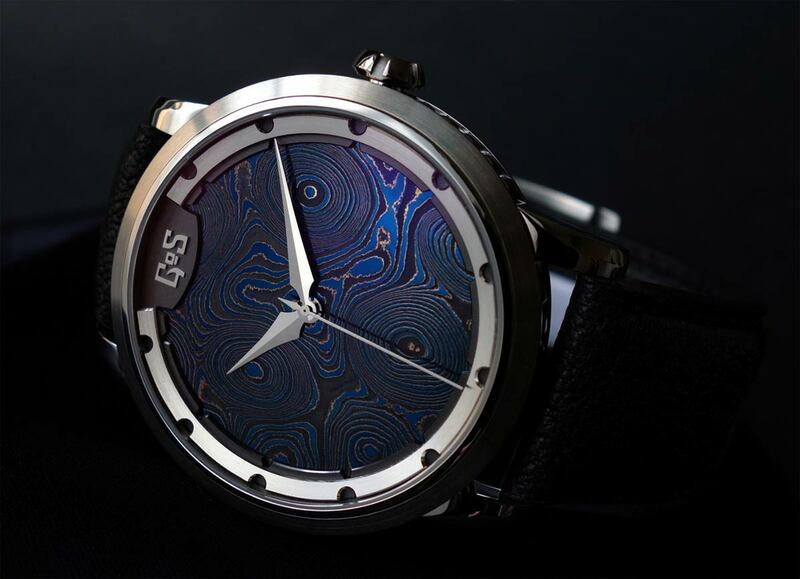 GoS Watches Sarek Midnight Blue. 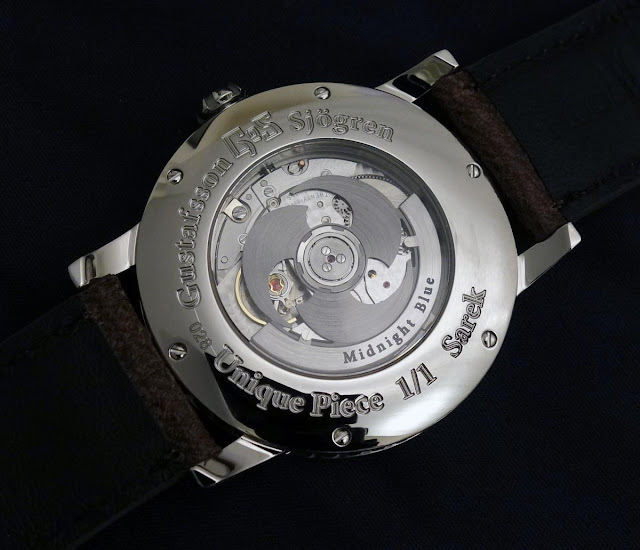 GoS Watches is a partnership between the master bladesmith Johan Gustafsson and master watchmaker Patrik Sjögren. The latest creation of GoS Watches is the Sarek Midnight Blue featuring a dial whose colours depend on lighting. 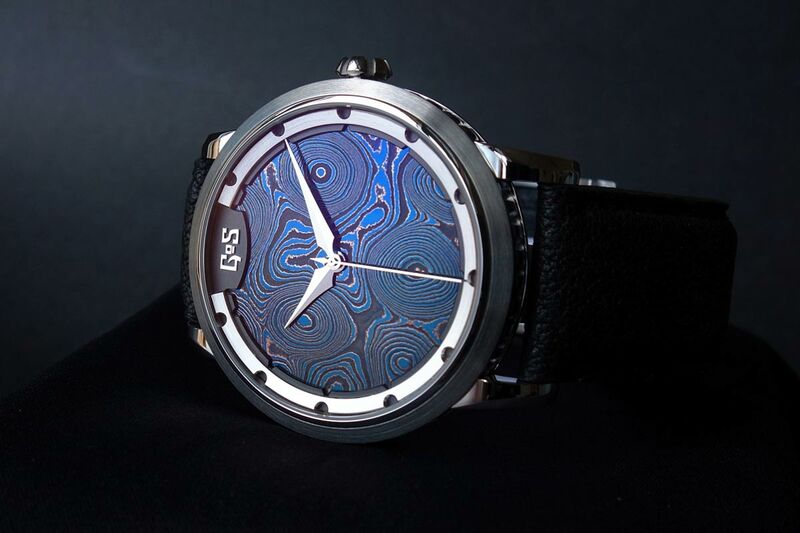 the GoS Sarek Midnight Blue has a price of US$ 9,500. A ladies version, in a 31.5 mm case, is also available.